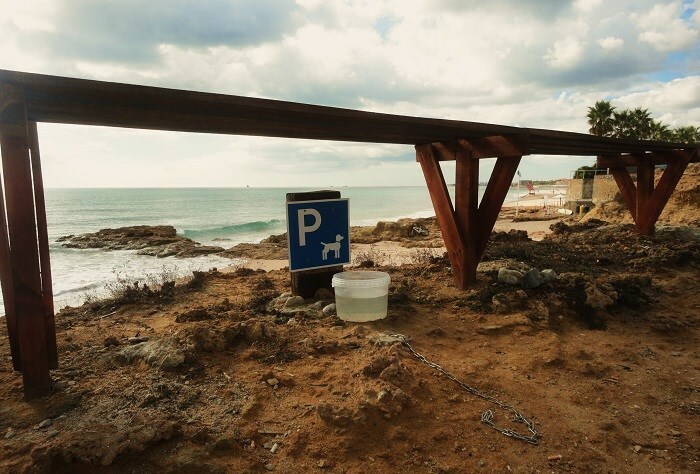 When you go for a walk on the seashore at Carcavelos, no problem taking your four-legged friend with you if you feel like having a drink or a snack at Gémeos (Twins' Bar). Your dog will be resting on the shade right in front of you. I like it when places like this think of our four-legged friends too. That's really nice. Too often our pets are considered non-entities. Oh, that's wonderful!! I would have loved to have been able to take my four-legged friend, Sam, with me more often than I was!! Hope you're enjoying a great weekend, Jose!! We met a friend at our local pub tonight and his poor dog sat outside in the -2˚C weather waiting for him. Much better to be at the beach! Nice that they think about the dogs. Here in Australia most cafes and restaurants with esplanades have water containers for the dogs. What a great idea - never hear or seen anything like this. So nice! This picture should be spread widely to show others how to make such a place.